Small shop development offices are notoriously short-handed and over-worked. When you’re tasked with everything from writing copy for your newsletter to organizing a $10M capital campaign, it’s not surprising that finding time to manage your donor database is hard to come by. However, a well-maintained and utilized donor database is at the heart of every successful development operation. So, finding the time to invest in its upkeep can reap huge rewards in the advancement of your organization’s mission. By tackling these three donor management mistakes, you’ll be well on your way to having a strong, strategic development program at your nonprofit. A recent report from Software Advice found that 52% of nonprofit organizations are using Excel or Google Docs rather than a dedicated donor management system to run their development efforts. Unfortunately, these methods not only make it difficult to uncover trends in giving patterns, which are instrumental in developing strategic, more successful fundraising appeals, but they can also be extremely time-consuming in terms of manually entering and maintaining data. According to the same report, the adoption of a donor management system has excellent benefits for small nonprofits, especially those with limited staff, where automating even one task—such as sending acknowledgment letters to donors—can free up hours of time to focus on crucial projects and more strategic processes. An overwhelming 99% of those surveyed said their use of fundraising software has positively impacted the number of donations their organizations collect—and 98% said it has had a positive impact on their overall record keeping, reporting, and workflow efficiency. 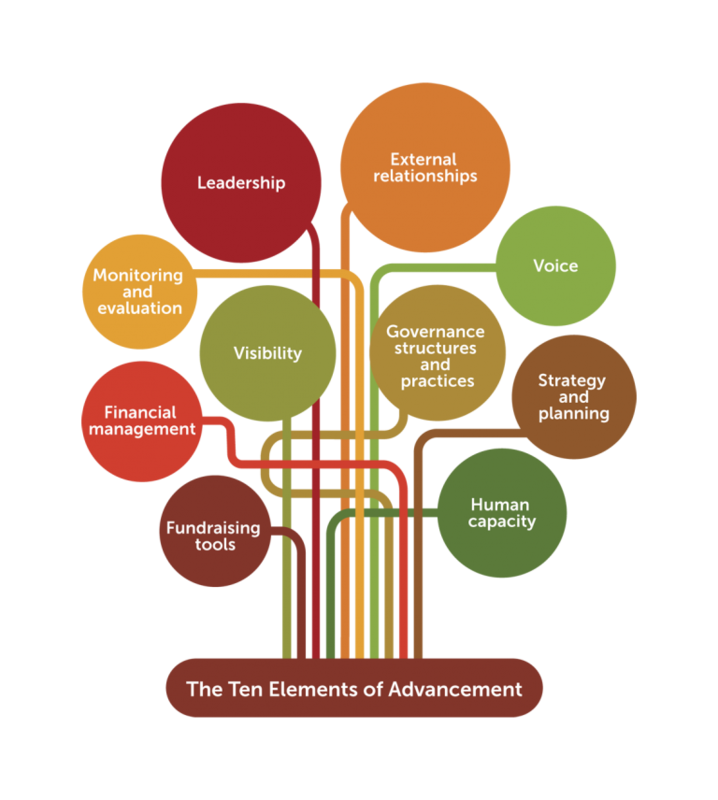 When a donor management system is chosen based primarily for its ability to reconcile donations with an accounting system, nonprofits are neglecting one very important development need: cultivating relationships with their organization’s supporters. If the focus of your data management processes is keeping track of donations for tax purposes, you’re missing out on capturing information you need to build strong, lasting relationships with your donors. And strong relationships are the key to retaining donors! Nonprofit finance expert, Carolyn Sechler, CPA, encourages streamlining your organization’s accounting system and keeping it free from the transactional details stored in your donor management system. Some of the reasons include avoiding a slowdown in the performance of your accounting system, reducing redundancy and workload, and eliminating possible data entry errors or conflicts. Sechler also recommends clearly distinguishing your accounting tasks from your CRM tasks and creating a simple workflow to easily manage information between your donor management system and your accounting software. Relegating database maintenance to the bottom of your to-do pile is one of the biggest mistakes a nonprofit can make for one simple reason: nonprofits are dependent on good data in order to be successful. Without good data, it’s much more difficult to develop and maintain strong relationships with your supporters. Regularly enrich your database by adding information to your existing donor records (e.g., their communication preferences, personal interests, what inspires them, etc.) Build data maintenance tasks into your overall development plan. When creating your annual calendar of communications and solicitations, be sure to figure in data needs. Planning a phonathon following the mailing of your solicitation letter? Add a task in your plan to review and acquire phone numbers. Now that you have my take on some of the biggest donor management mistakes, I hope you’ve garnered some ideas on how best to avoid them. If you are struggling with your donor database, contact us to learn how Little Green Light can help you to simplify your fundraising operations and build stronger relationships with your organization’s supporters. Richard Smith is in charge of non-profit resource development and blogging at DonorSearch. He is passionate about prospect research and how quality data can improve non-profit fundraising outcomes. This article was first published on DonorSearch on 26 October 2015. Click here to access the original article.